The software providers Microgaming have been around for over 16 years and remain one of the market leaders for online casino software and games. It goes from strength to strength, always coming up with new and innovative ideas to make the whole online gaming experience one to remember. There are currently more than 160 online casinos using all or some of Microgaming’s fantastic video slots and other games. With over 600 games under its belt Microgaming isn’t showing any signs of letting up. Their games have been translated into 24 plus languages and are used worldwide in both land based casinos as well as online casinos. Some of the highest progressive jackpots and millionaire winners have come from Microgaming! The largest ever jackpot network is in fact part of this software providing company and has paid out more than 320 million euros. One of the biggest ever single jackpot win was won playing a Microgaming game and totaled up to 6.37 million euros. That was one very happy player indeed! This online casino software provider has won too many awards for it’s state of the art online software and games to mention all of them here. To name a few they have won : Best Software Supplier Award 20120 from Casinomeister, RNG Supplier of the year 2012 from eGaming Review Awards, Best Casino Software Award 2012 from Gambling Online Magazine Awards and Best iGaming Casino Software 2010 Award from iGaming Business Affiliate Awards. All of these prestigious awards just add even more insight into what kind of company this is. The awards they have won cover all aspects of their business, from the software and games they provide to how their internal affairs are run and handled. Currently, Microgaming provide the games for over 120 casinos online as well as poker room and bingo sites in a broad range of languages all over the world. Many of the clients they work with are extremely positive about the quality and quantity of games provided by Microgaming and think that the diversity along with the massive jackpots offered are all fundamental to the success of online casinos and poker rooms using this software provider. 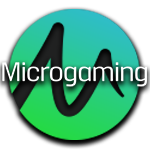 Microgaming support responsible gaming and believe it is at the top of the list for all involved in the online gaming business. Players need to know they can trust the casino and games supplier that they choose to play their favourite games with, will give them an honest clean and fun time and that all winnings will be payed out fairly and just. To support this Microgaming are members of eCogra, IGC, RGA and mega. These are all organisations that support fair gaming. Therefore what you see is what you get with this company. So how do they ensure that responsible gaming is held up? Each individual casino, poker room or bingo are free to configure their clients accounts to suit the correct needs of the player. Some of the options featured are closing of accounts for restricted periods or locking them indefinetly, only allow the players to deposit a set amount of money at any one time or add players to group that will not receive any marketing notices or reminders. These are just a few of the initiatives taken by Microgaming. Microgaming is found on almost all of the regulated markets around the world and will continue to do so as more and more markets legalize the online gambling business. Through long established business relationships and having the longest customer retention Microgaming has ensured its place as one of the leader’s in online casino gaming. Their aim is to always be among the first to enter any newly regulated markets to continue growth and expansion for both the Microgaming company as well as the new territory. The technical part of Microgaming has a top reputation with some of the safest systems and hardly any down time, handled by the best of the best in technical support.